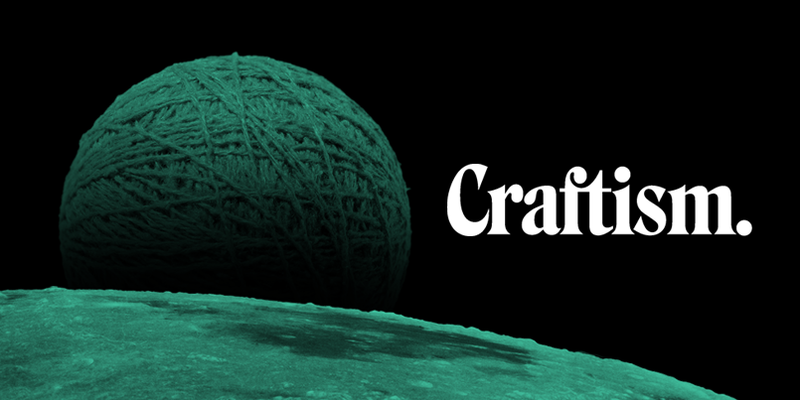 Craft regains interest. Both as a leisurely activity (think about the surge of sewing clubs, crafts festivals and guerilla knitting groups) and as a field of research, handiwork techniques found a new en masse audience. As did craft’s social context. In her ‘Knitting for Good’, Betsy Greer exemplifies how knitting and creativity can improve one’s life, the life of anyone in one’s community and the world at large. Marina Toeters, who works as an intermediary for fashion and technical companies, looks at the broader context of crafts and specifically how crafts can be combined with high tech materials and techniques. Researcher Eunjeong Jeon investigates how woolen clothing used in interactive objects can prompt emotions. 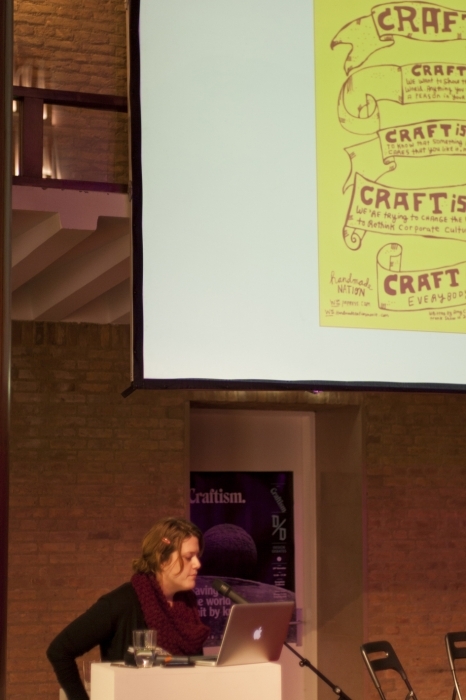 Is Craftivism significant for our contemporary society? 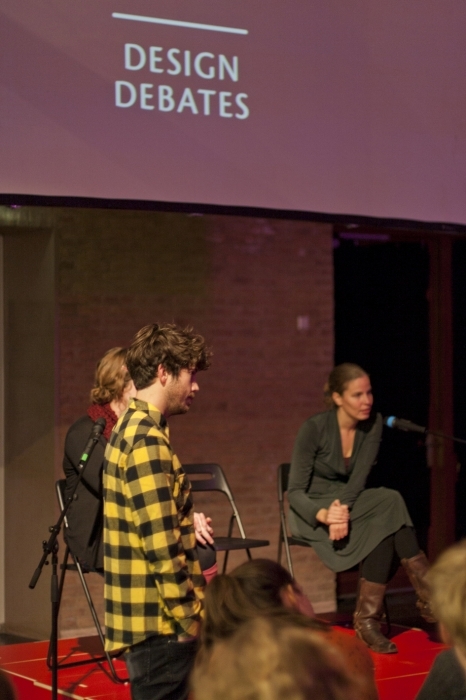 How can we benefit from knitting, sewing and how can we attribute the social fabric around it? 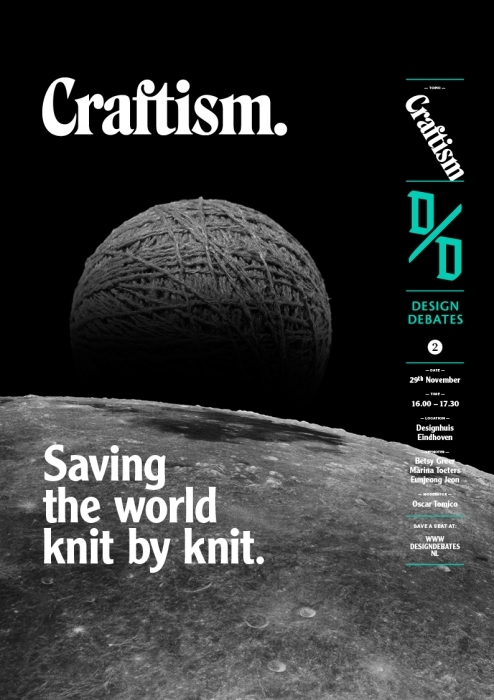 Besides an interactive debate, we will experience craftivism’s impact by ‘knitting’! Betsy Greer has been called a lot of things, a crafter, an activist, an unsung hero, the godmother of Craftivism, among other things. She got her MA in Sociology from Goldsmiths College in London in 2004. Her master’s dissertation was on knitting, DIY culture and community development. 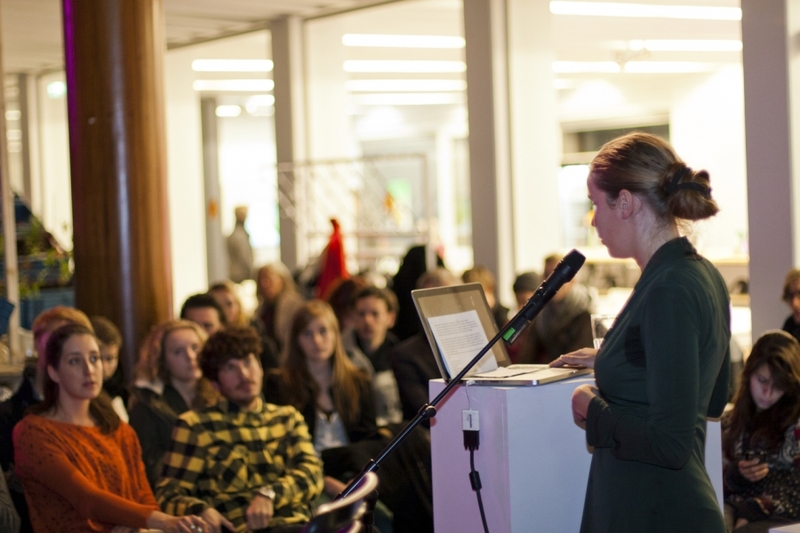 She writes about craftivism, craft, creativity and the positive side of activism. knowledge. As freelance intermediary Marina Toeters works for fashion and technical companies; creates concepts, brainstorm sessions, presentations and garments for example for technical companies that are looking for new applications for their materials or advises designers interested in materia and process innovation. 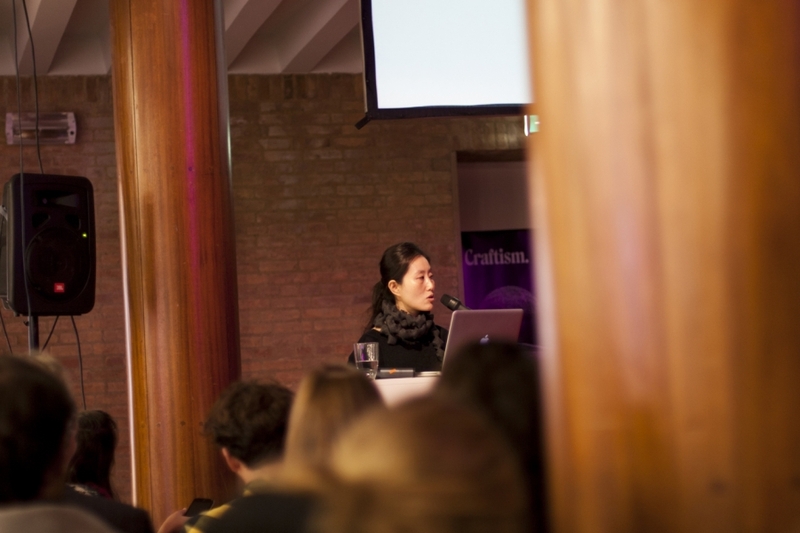 Eunjeong Jeon is researcher and designer at the Curtin University of Technology. Jeon is currently undertaking a PhD Aesthetic Experience and Comfort: ‘Object Playing with Movement’, A source of Comfort and Enjoyment. The main aim of the research is to develop concepts and design principles of movement-based interaction for inducing emotion, focusing on wool clothing as an interactive object. 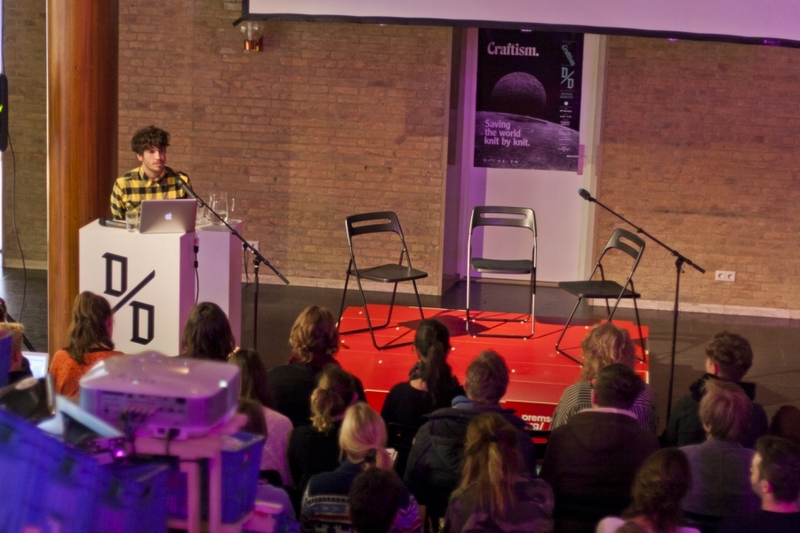 Oscar Tomico is Assistant Professor of the Designing Quality in Interaction Research Group at the Department of Industrial Design, TU/e. His main research topic is to develop situated practices allowing for a constructive confrontation between the designer’s rational and societal motivations and values (co-reflection). The paper argues about the importance of textile manufacturing in the age of digital fabrication. Today, the tools of desktop fabrication have been developing rapidly, at the same time the first digital personal manufacturing tool for home-use that is an electronic knitting machine from 1976 has been forgotten. V2_’s eTextile Sweatshop brings together a unique combination of equipment to facilitate the production of eTextiles. Machines typically found in textile production, such as knitting, sewing, and embroidery machines, share space with equipment common to fablabs, such as laser cutters and 3D printers.